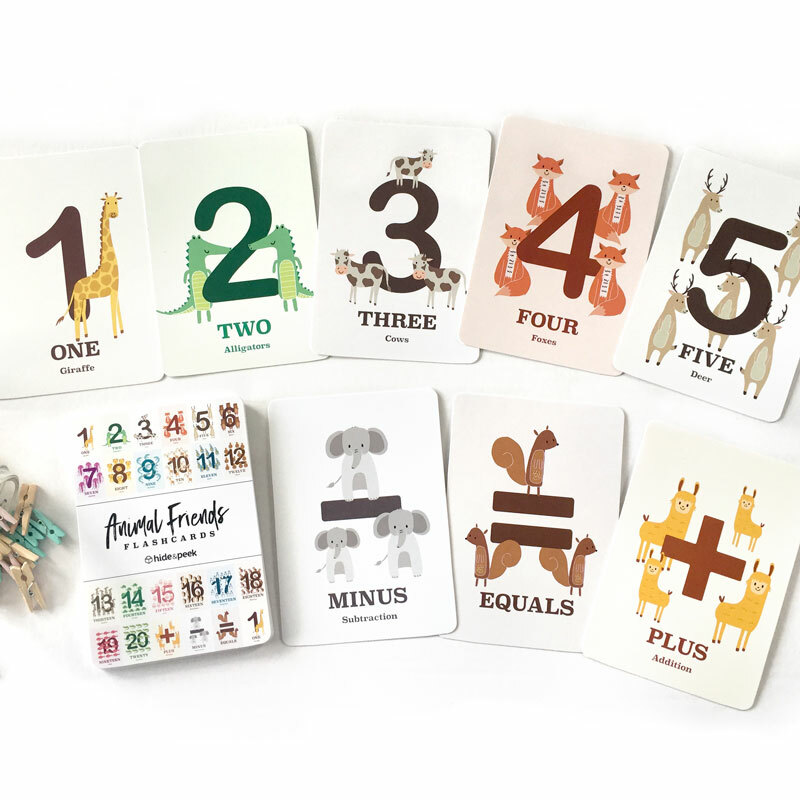 Counting 1, 2, 3….Animal numbers flashcards! 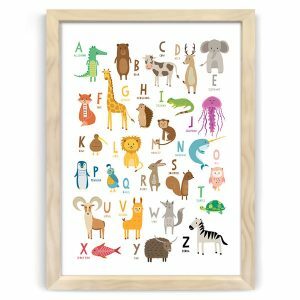 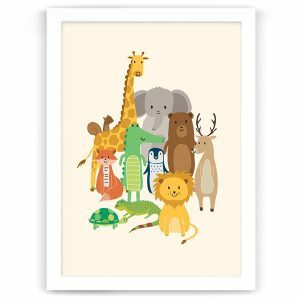 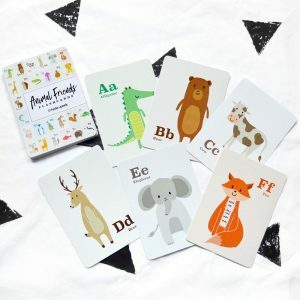 You might recognise them from our original Alphabet Animal Friends print and also our Alphabet Animals flashcards. 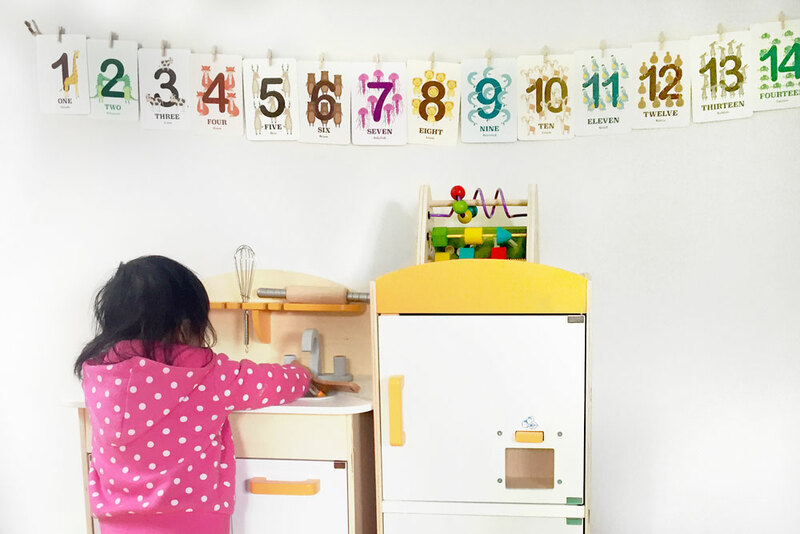 These flashcards are a fun and interactive way for your little one to learn how to count, add and subtract! 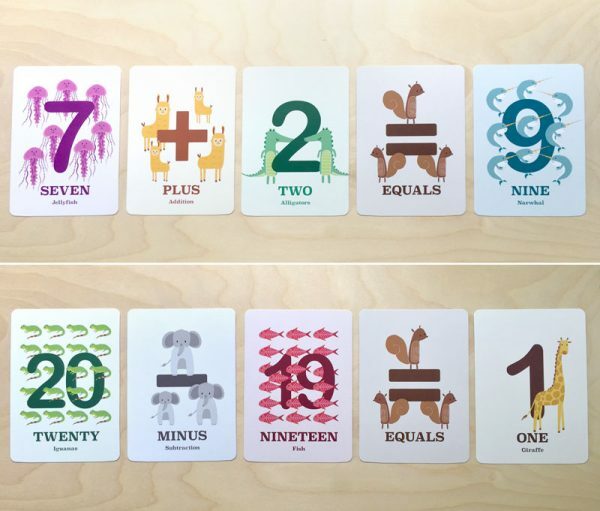 The cards included are numbers 1 – 20, plus (+), minus (-) and equals (=). 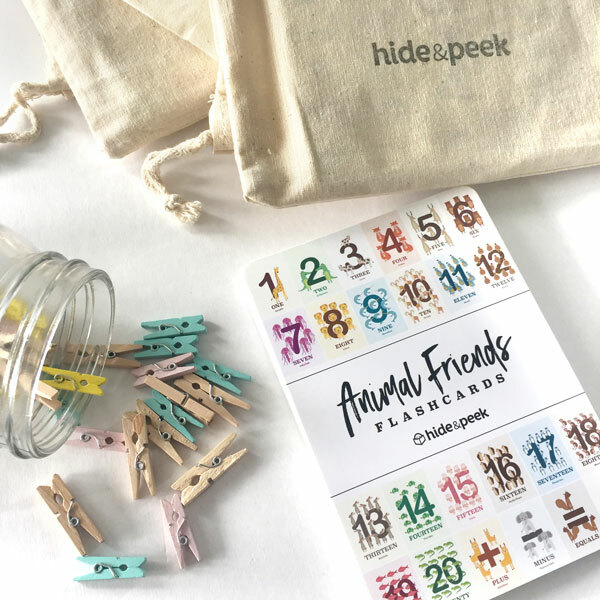 The pack comes with an eco-friendly drawstring bag.